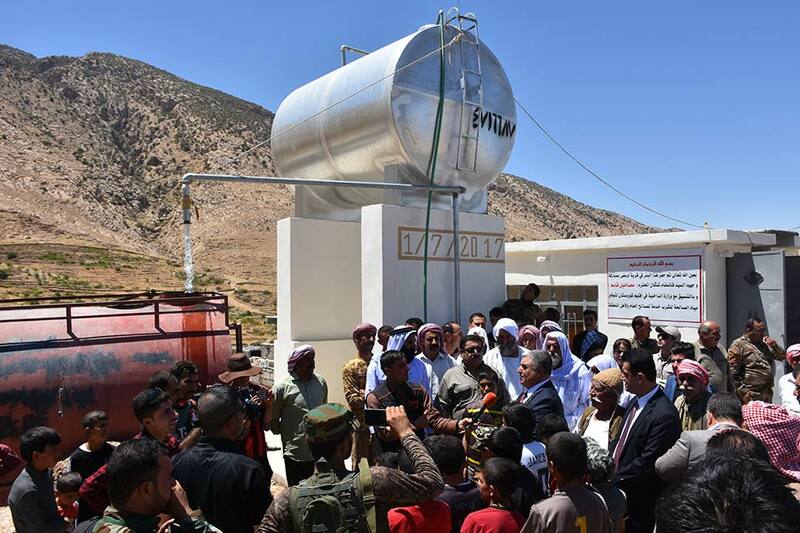 On last July 27th, Hoshang Mohamed, General Director of the Joint Crisis Coordination Center and the Mayor of Shingal District, Mr Mahma Khalil, officially opened the water project funded by the fundraising campaign promoted by the Representation of KRG in Italy in the village Osifyian a Shingal. The water project will provide clean drinking water for 400 village families and IDPs in the Sharafaddin field. During the opening ceremony, the villagers expressed their appreciation for funding this project, underlying that they really suffered because of the lack of drinking water. "Now we have clean water to drink and we can continue our life in the village." It should be noted that the water project was one of the main priorities of the population, that is why KRG Italy decided to fund it.